I have been watching some seriously bad anime as of late. Netflix has added way more to their anime selections and I have been going through it. I am slightly disappointed that they do not have the dubbed version of Death Note only the Japanese version. 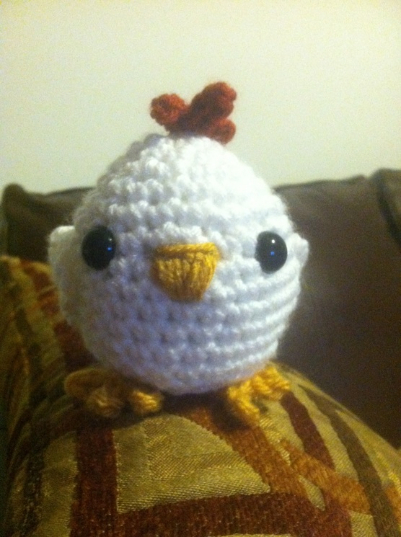 This means that I have to pay attention and not crochet while watching which cramps my style. I am afraid to admit to some of the titles that I have been watching … Lets just say that monsters in highschool are the story lines that I have been into… That and all of them have lots of terrible fan-service shots that make me laugh. Aside from the couch potato-ness I have been working on a few things and have some exciting things on the horizon including a pattern partnership with Gina House of SleepyEyes Knits! I am very excited about that. 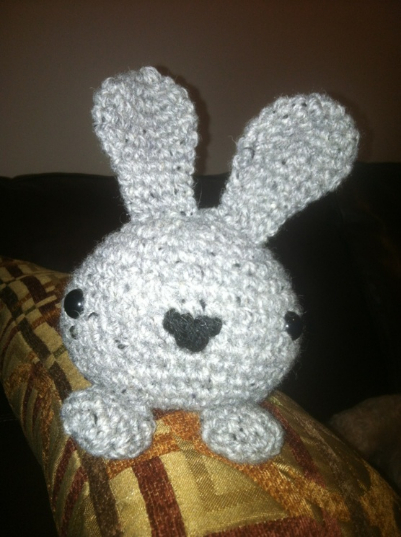 Tiny Easter Bunny: There is a group on Ravelry called The Tiny Bunnies Movement which I am a part of. I have mentioned them before I think but I love them so it is worth talking about again. 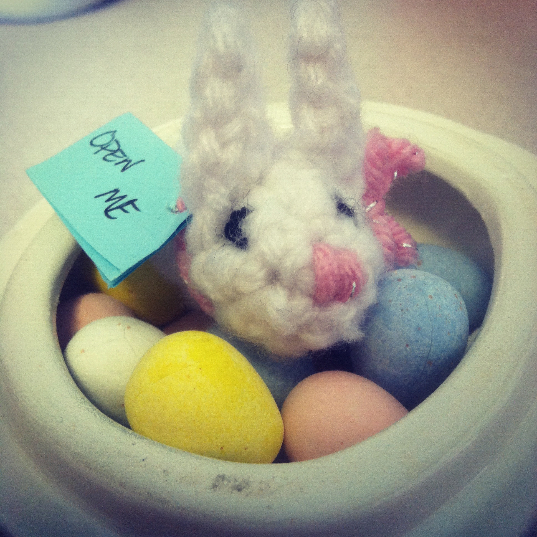 In the tradition of random acts of kindness Tiny Bunnies are created and left for people just because. I like personally leaving them for waitstaff as part of their tip just as an additional thank you. 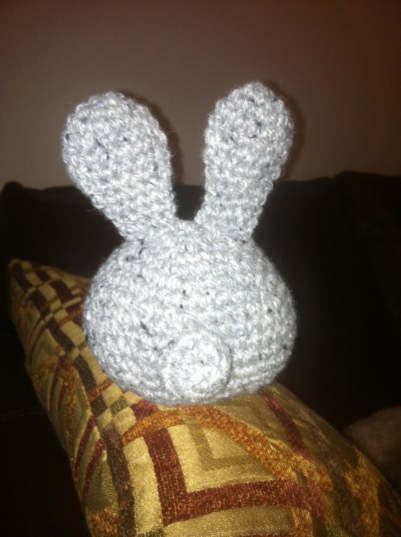 For the scraps challenge TBM bunnies are perfect! Now that all of that is done I can go back to my Minecraft and horrible Anime!! … what …. 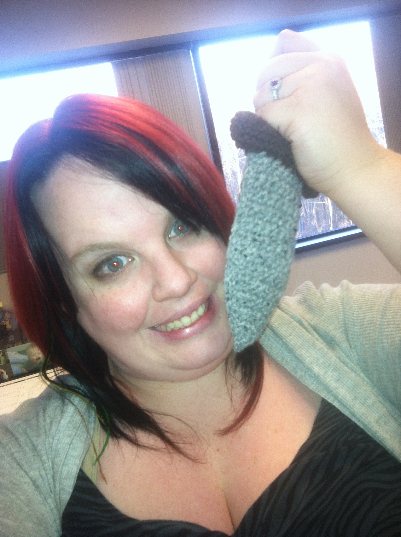 all right fine … Back to the yarn with me! 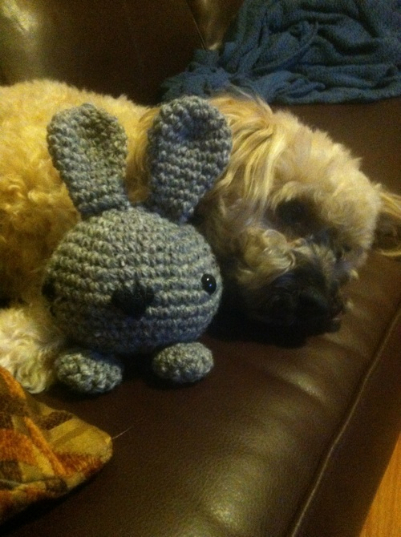 This entry was posted in Baby, fandom, mochimochi, Nerd Wars, raverly, TBM. Bookmark the permalink. 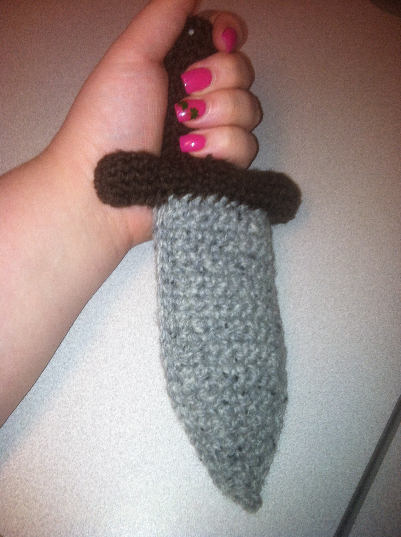 I LOVE the picture of you being “stabby” with the sword! Awesome! 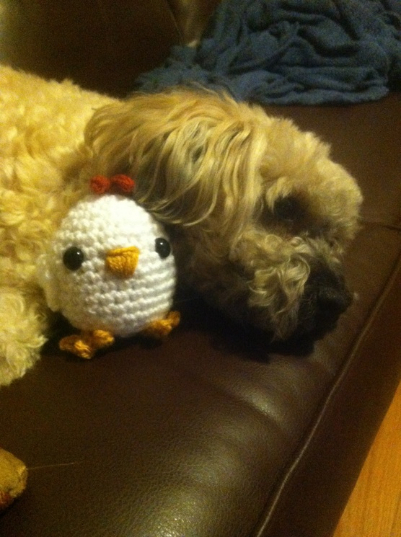 I can’t wait to finish my last book design so I can focus full time on our blanket pattern – it’s going to be soo cool!! 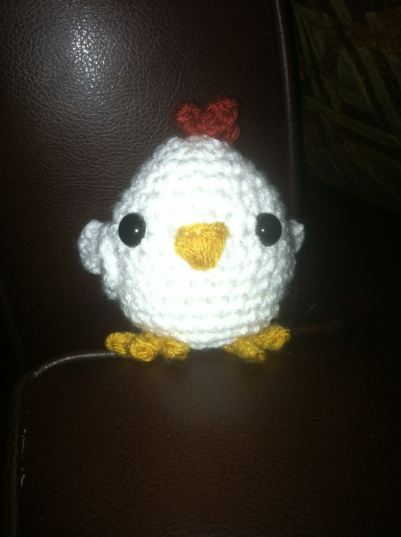 Ummm Yeah….. Crocheting…. Can I do that?